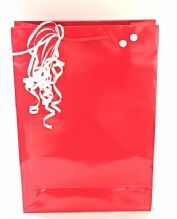 A bunch of colourful balloons and a nice gift tag makes this bag a real standout as much as what is inside. Fit for all those happy occasions. 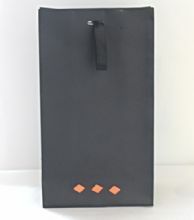 Simple and sophisticated, a beribboned bag in black with accents in orange. 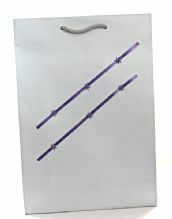 The wrapping for someone who has arrived. Blue on blue a sure way to pique a little boy's curiosity. 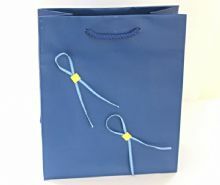 Heavenly blue bag with saddle stitch ribbons. 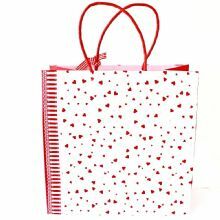 Red hearts gift bag with stand up handles, side checkered ribbon, pink inner border. 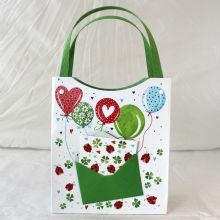 Red flower design on the sides adds detail that make this bag oh so special. 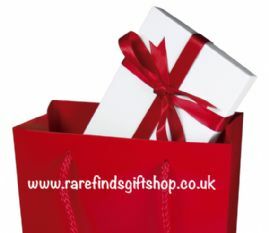 Sturdy and roomy for large presents for your dearest. What are little girls made up of? Everything nice and pretty. 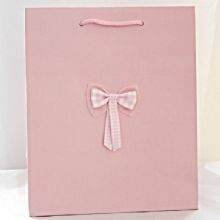 Just like this pink bag with gingham bow. For the daring,the bold, the adventurer, the seeker of all things new. 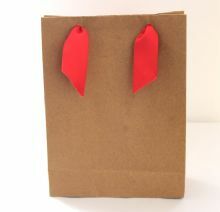 This bag in red with side ribbons and dotted top captures the spirit of fun and excitement.